September 15, 2011 – The Pratt & Whitney PurePower PW1500G engine, the PW1524G engine for the Bombardier CSeries aircraft, completed its first flight test program logging 25 flights with 115 flight hours. 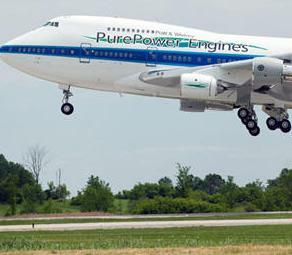 The PW1524G engine has been flight testing on Pratt & Whitney’s 747SP flying test bed at Pratt & Whitney Canada’s Mirabel Aerospace Centre, in Mirabel, Québec (Canada) since June 20. Final production assembly and test will also occur at the Mirabel facility for both the PW1524G and P&WC’s advanced PW800 family of PurePower engines for the next generation of large business jets. “We are very pleased with this initial flight test program,” said Bob Saia, vice president, Next Generation Product Family. “Results confirmed our earlier sea level test findings validating the geared turbofan’s overall engine design. In addition to more than 800 hours of full engine testing to date, Pratt & Whitney has performed critical part level and engine sub-system testing to validate designs for the PurePower engine program, including hundreds of hours of core and rig testing, design validation of the fan drive gear system, bird ingestion and fan blade containment and compressor performance for the advanced PW1000G core. Pratt & Whitney currently has five PW1000G family engines in test and an additional five in the build cycle. The PW1500G engine test program will run a total of eight test engines over the next 16 months with engine certification scheduled for 2012 and entry into service in late 2013. The PurePower PW1000G series engines use an advanced gear system allowing the engine’s fan to operate at a different speed than the low-pressure compressor and turbine. The combination of the gear system and an all-new advanced core deliver double-digit improvements in fuel efficiency, environmental emissions and noise. The PurePower family of engines shares common, advanced cores across the PW1000G and PW800 models, and features flight proven, next-generation technology. The engine core consists of an ultra-efficient high-pressure compressor, a low-emissions combustor, and state-of- the-art high-pressure turbine module. The PW1500G engine test program also supports the development of Pratt & Whitney Canada’s PurePower PW800 engine for the next generation of large business jets. The PW800 engine is a 10,000- to 20,000-pound thrust turbofan that has double-digit improvements in fuel burn, environmental emissions, engine noise and operating costs.